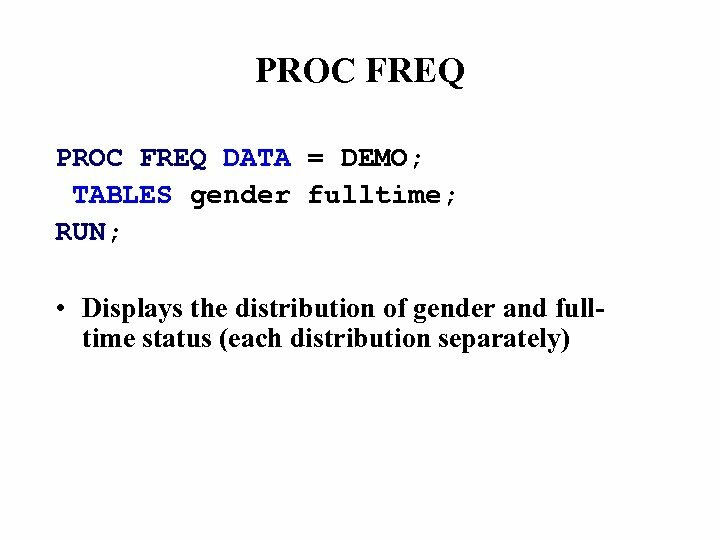 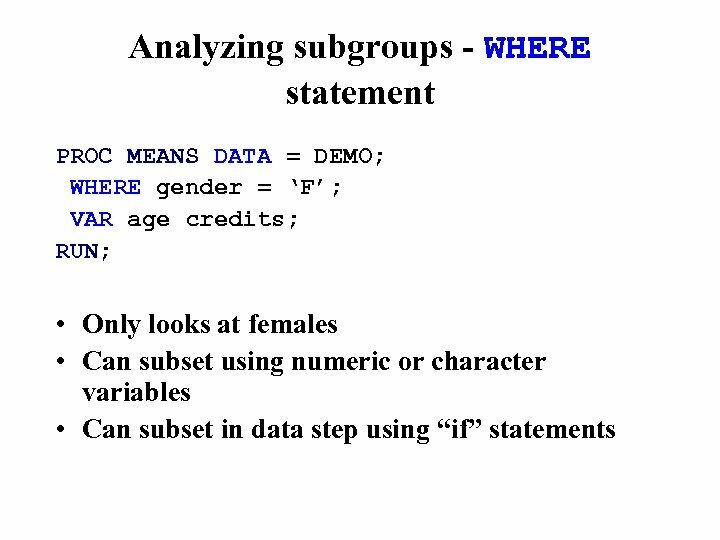 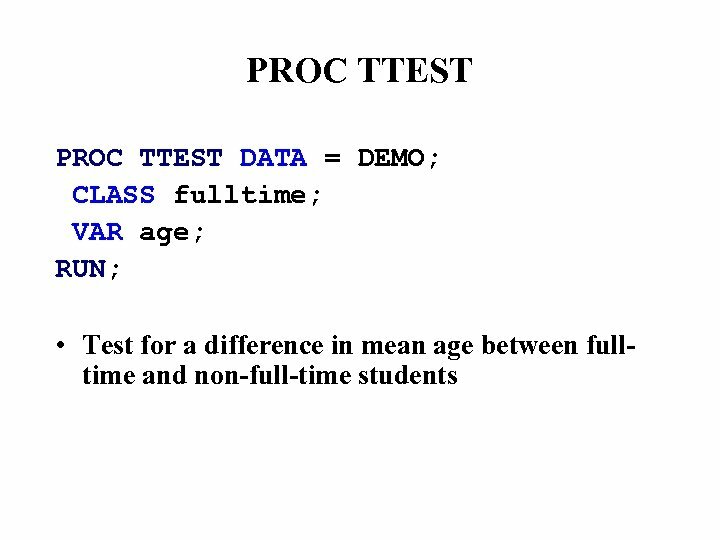 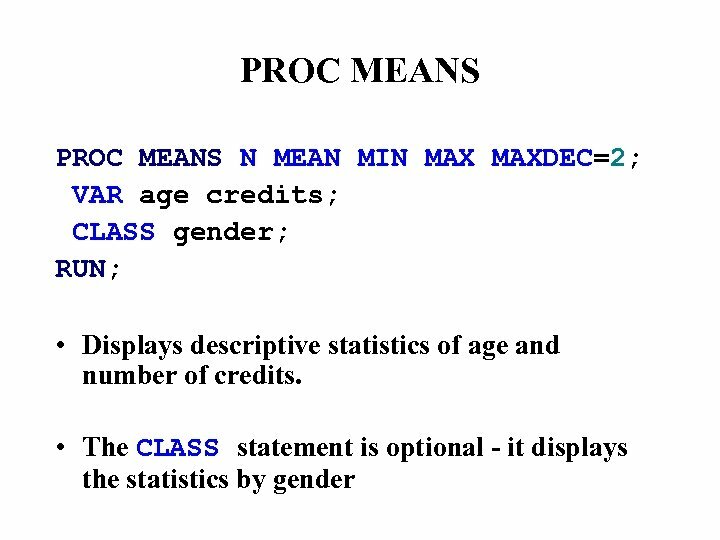 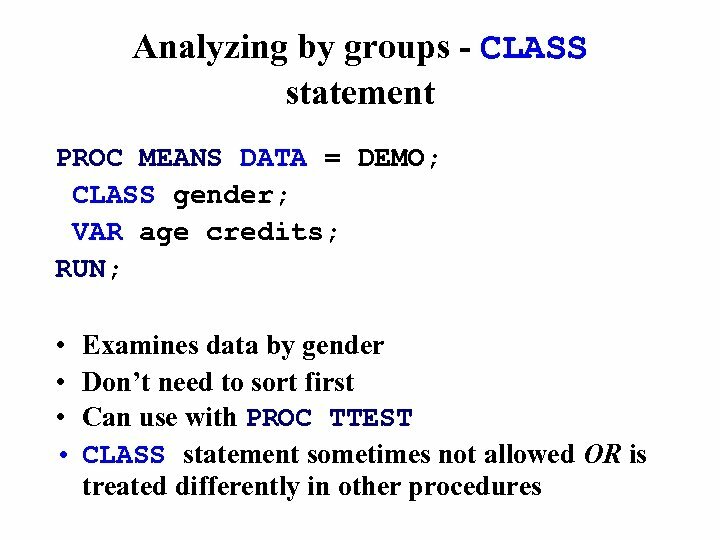 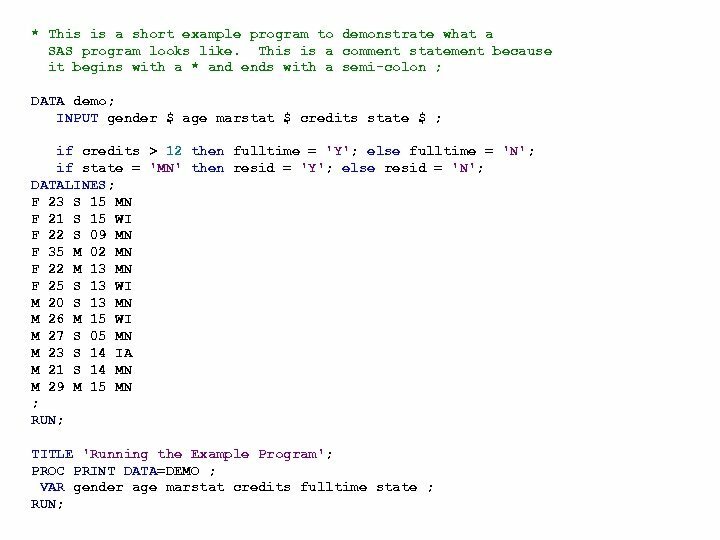 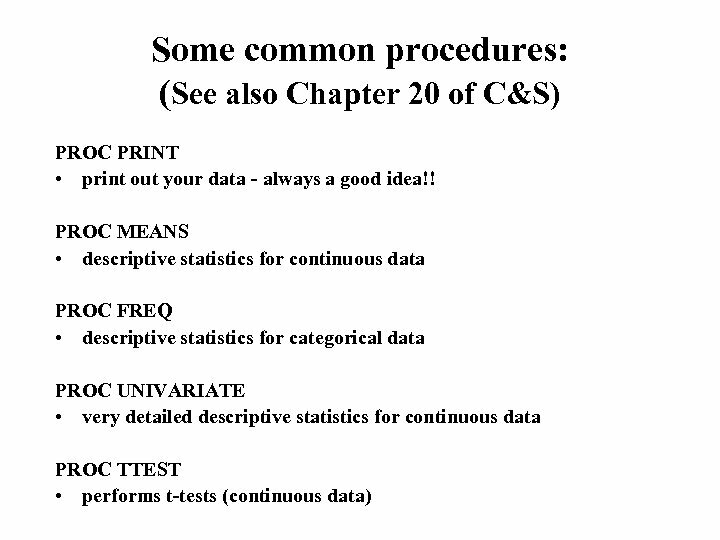 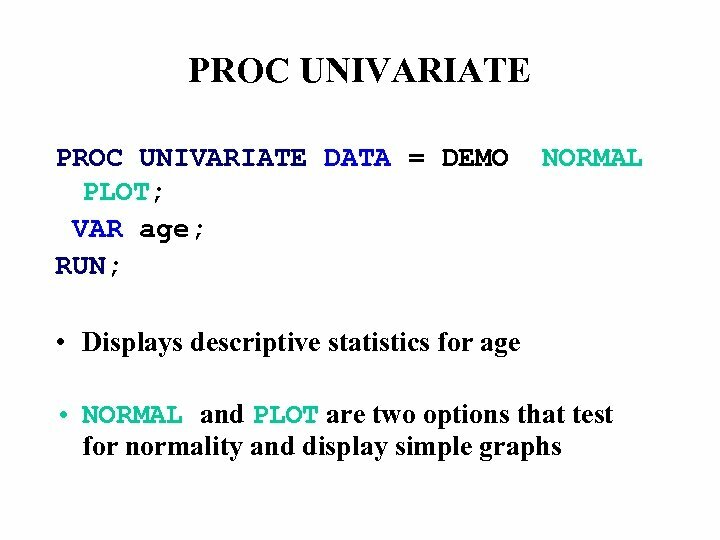 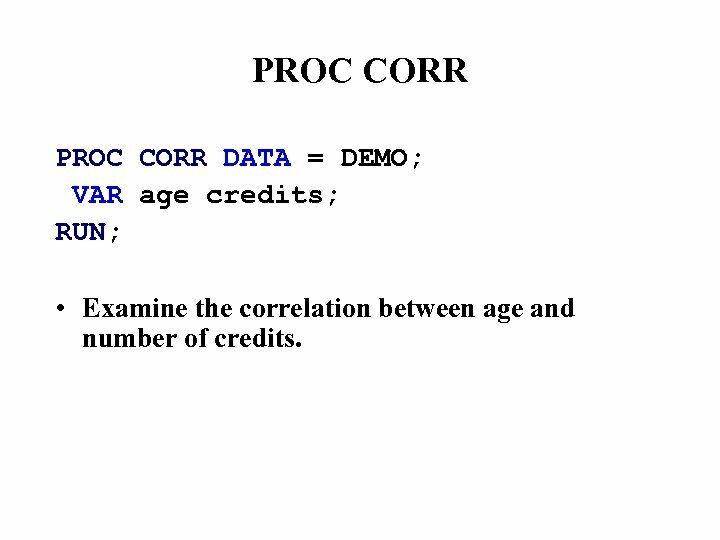 PROC CORR DATA = DEMO; VAR age credits; RUN; • Examine the correlation between age and number of credits. 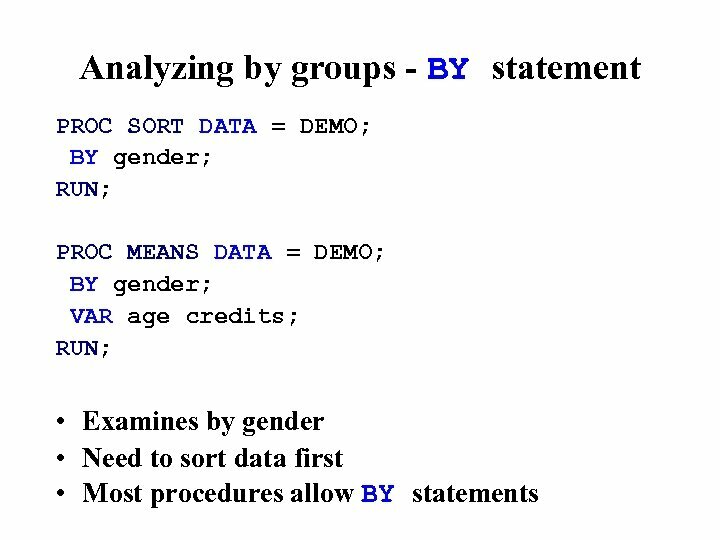 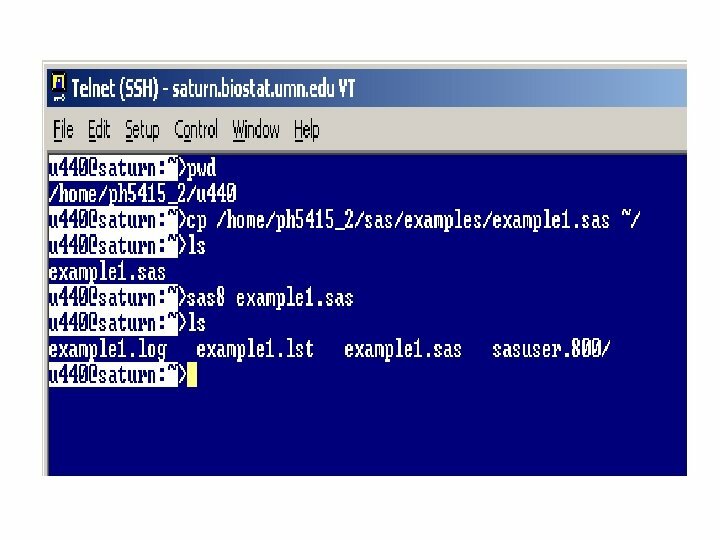 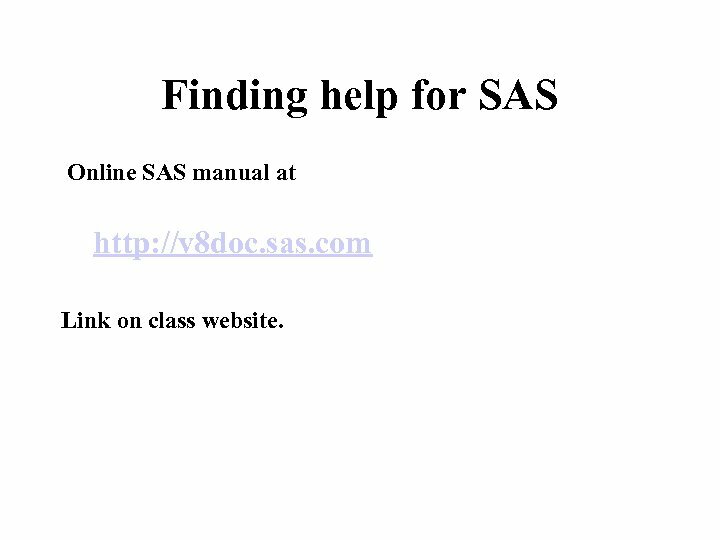 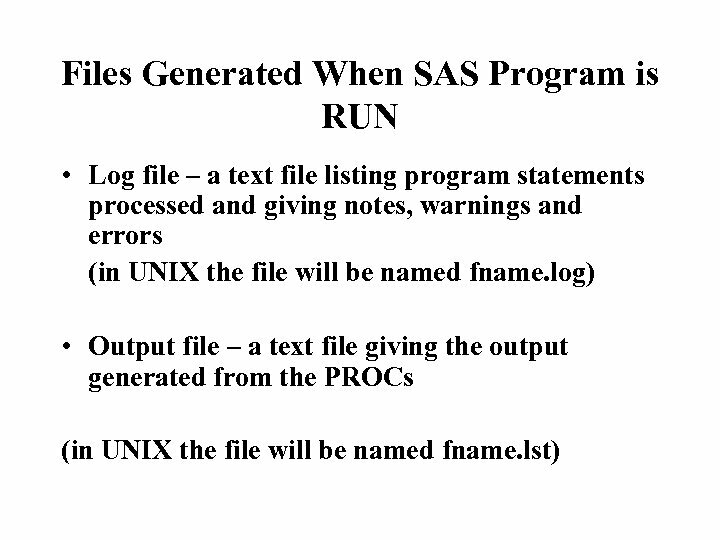 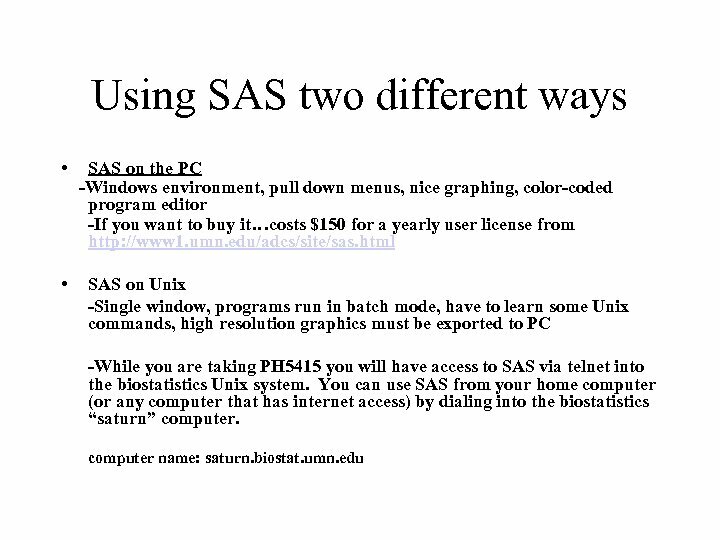 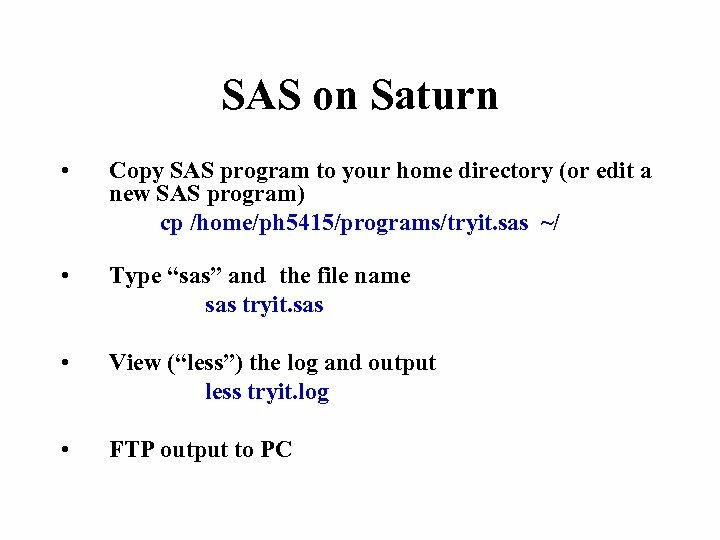 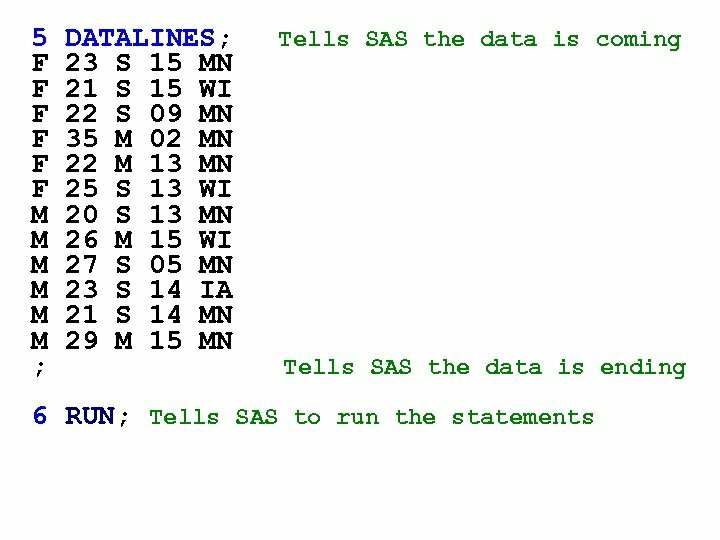 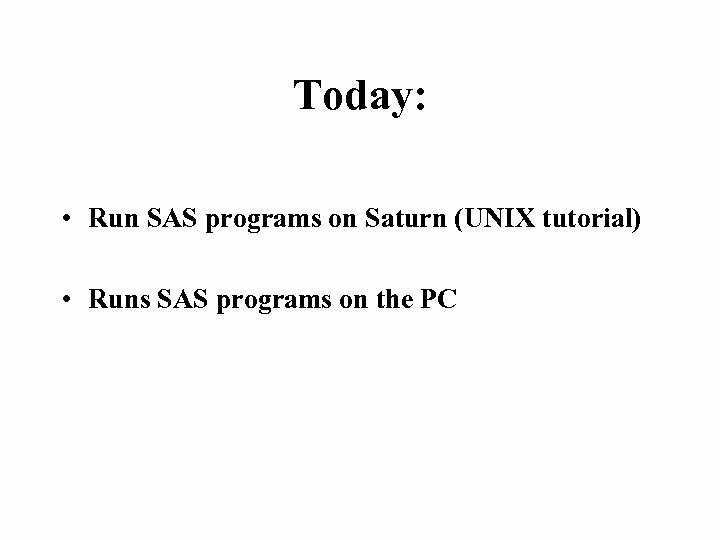 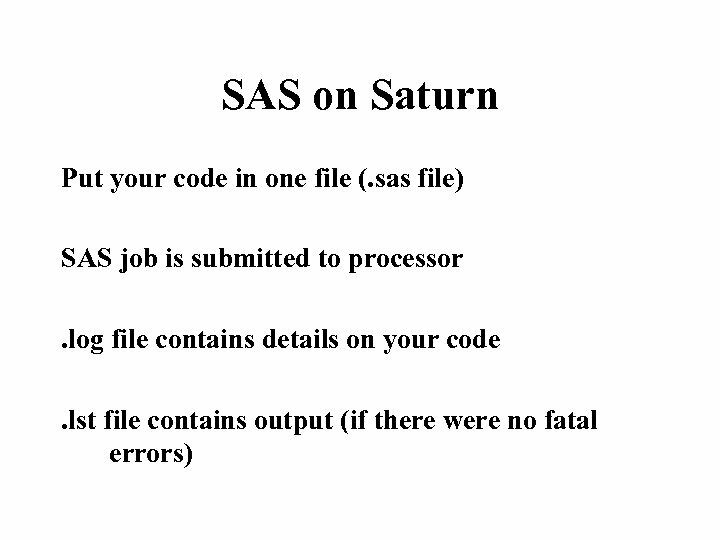 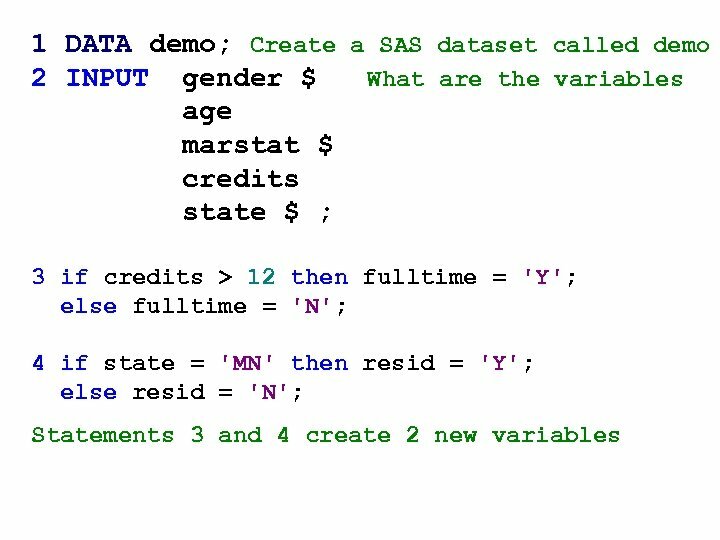 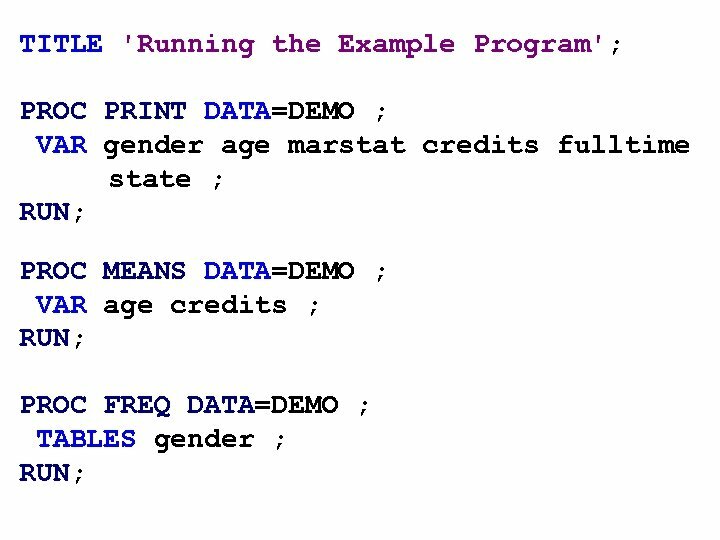 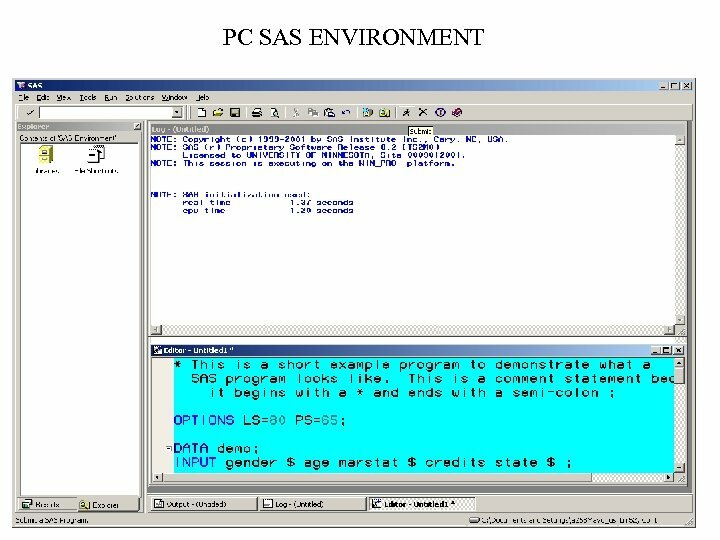 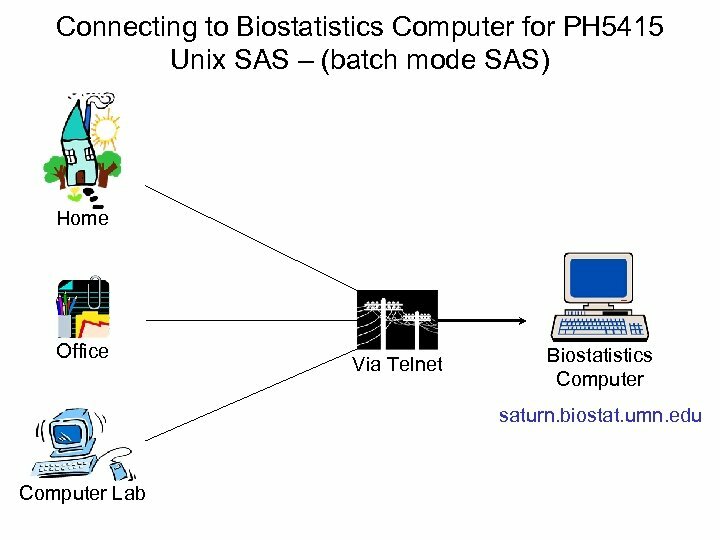 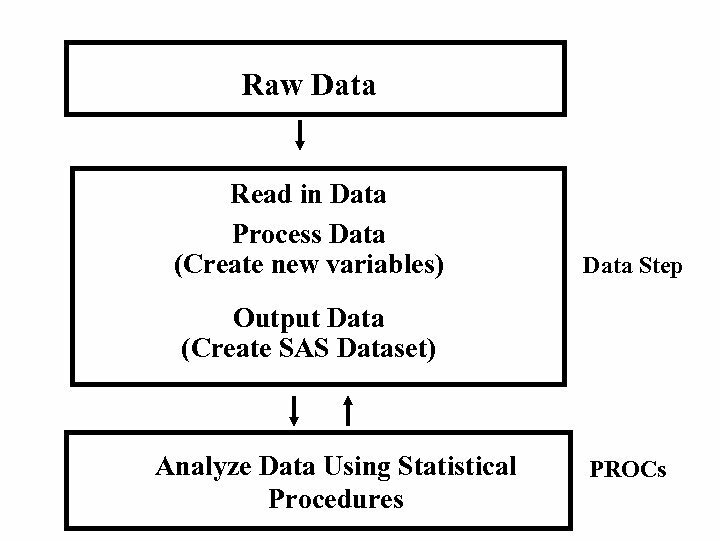 Finding help for SAS Online SAS manual at http: //v 8 doc. 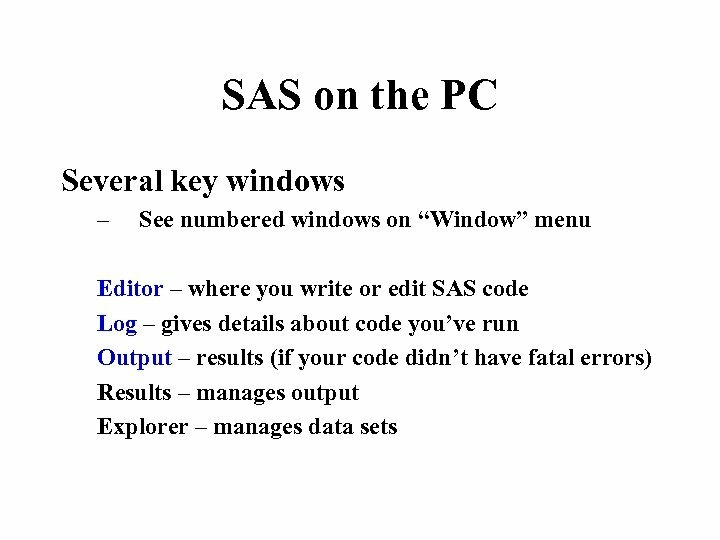 sas. 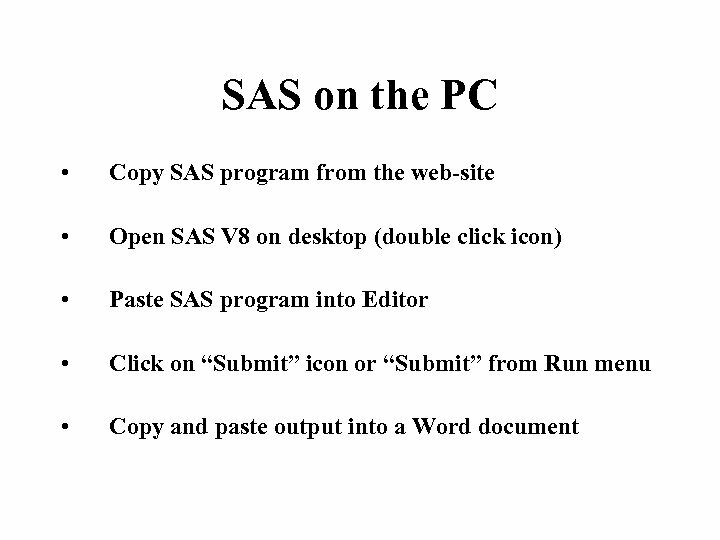 com Link on class website. 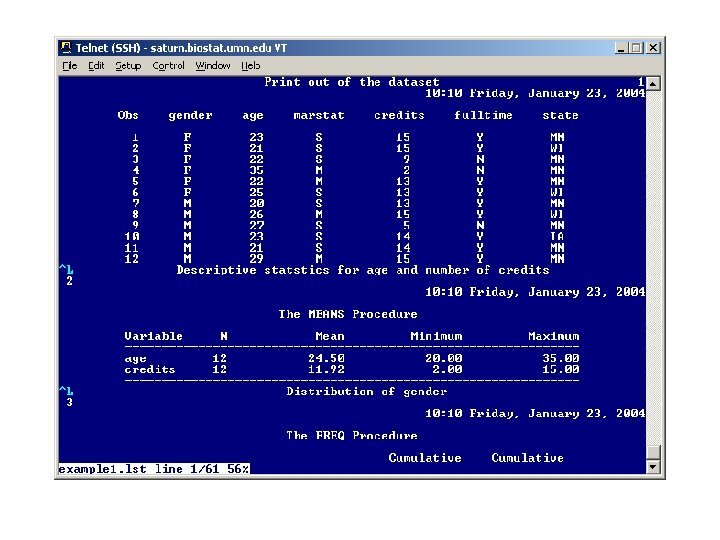 ГЕНЕОЛОГИЯ UNIX Материал основан на следующих источниках.